Blogger, entrepreneur, and current political prisoner Tran Huynh Duy Thuc turns 52 years old on November 29. This is the tenth birthday he has spent in prison, and he will have six more before he is able to celebrate as a free man. However, Thuc — one of Vietnam’s most well-known political prisoners, one of the leaders of the democratic movement, and also one of the longest-serving political prisoners in the country — does not dwell on these thoughts. Instead, he continues to use his energies to press for change in his country. Thuc has long been an advocate for the rights of other political prisoners, participating in hunger strikes to improve prison conditions and urging supporters to continue to fight for the release of other prisoners. This year, he was on a hunger strike for 34 days, from August 13 to September 16, to protest the prison authorities for mistreating him and trying to force him to plead guilty in exchange for amnesty. 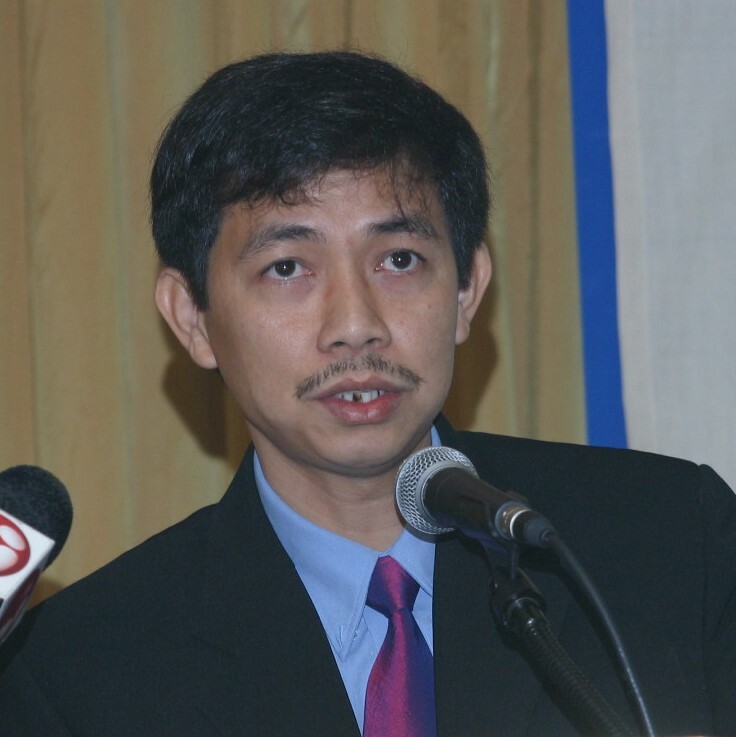 In addition to advocating for rights through hunger strikes, Thuc also writes letters expressing opinions on Vietnamese and global current events. He also refuses to be exiled in exchange for freedom, vowing instead to appeal his sentence by using new provisions in Vietnam’s revised 2015 Criminal Code. Thuc gained weight since the most recent hunger strike and was in a good health as of a family visit on October 12. However, at his family’s most recent visit on November 24, they learned that his treatment in prison has severely worsened, and in addition to being denied incoming letters, Thuc also suffered signs of poisoning on November 20 and is now refusing to eat food provided by the prison. Prison authorities have not given him the boiling water necessary to make his instant noodles to eat in place of the prison food. They also have considered denying him the use of a flashlight, glucometer, and blood pressure monitor. No legal reason was given for these changes; it is possible that this ill-treatment is a tactic of the authorities used to pressure Thuc into accepting early release from prison in exchange for exile. Thuc, the founder of an Internet service provider company, was arrested in 2009 and prosecuted under Article 79 of the 1999 Criminal Code for his social, political, and economic writings. In 2010, he was sentenced to 16 years in prison and five years of probation. Fast forward nearly a decade, and many more regular citizens are now involved in human rights and political advocacy. And as Vietnam’s global significance grows, so does its desire to quiet an ever-increasing chorus of dissatisfaction and allegations of governmental abuse from activists and everyday people alike. As such, the government has made it exceedingly difficult for activists and community members to connect online and in person. National protests over two draft laws in June 2018 saw dozens of people arrested and prosecuted for “disturbing public order.” Some of the same groups formed in recent years thanks to foundations laid by Thuc and others, groups like the Brotherhood for Democracy and Hien Phap (which educates citizens about constitutional rights), are now being targeted in a concerted push to disband well-known civil society organizations. In addition, in January 2019, a new cybersecurity law will go into effect, punishing users for their social media content critical of the government and forcing companies to set up offices and store sensitive data inside Vietnam’s borders. When Thuc was arrested, he was one of very few prisoners to receive such a long prison sentence. However, in 2017 and 2018 alone, 14 of the activists arrested in those two years were sentenced to ten years or longer in prison. Between the four years of 2013-2016, that number was only ten. In total, Vietnam currently holds 181 political prisoners. When I began this work in 2012, Thuc was the prisoner who most called me to action. I imagined him leading a lecture in one of my university classes or organizing people at a local community center. He was a visionary, but he was also relatable. A pioneer in thought and a successful businessman, he was well-connected and knowledgeable, the type of trailblazer a country like Vietnam should have lifted up as an example. Instead, they did the opposite. Thuc was and still is a person who strives for a better future for the place and people he loves. He imagines a day when he will be free to work for peaceful reform and spend a birthday unrestricted by prison bars. Until then, he waits patiently, managing his own campaign for freedom from inside the system that locked him away.